Excitement and anticipation was in the air at the start of the year as almost 800,000 Grade 12 learners eagerly awaited their matric results for 2018. The 78.2% pass rate means that over 600,000 young adults now need to decide whether they will be entering the job market, taking a ‘gap’ year or furthering their studies. A month has since passed and the initial excitement is now being replaced by the gloomy reality that this is not an easy decision with the official unemployment rate at 27.5%; the highest South Africa has seen since 2017. Thus, opportunities are limited when trying to enter the job market straight out of matric and taking a ‘gap’ year could set one back in terms of work experience and also requires funding. In addition, tertiary education is costly with the average annual cost for the first year of a qualification in 2018 ranging between R15 000 and R90 000, depending on the certificate, degree and institution. That is excluding textbooks, accommodation and general living expenses. Study options include degrees, diplomas, higher certificates and short skills courses – all for which the matric graduate will require funds. 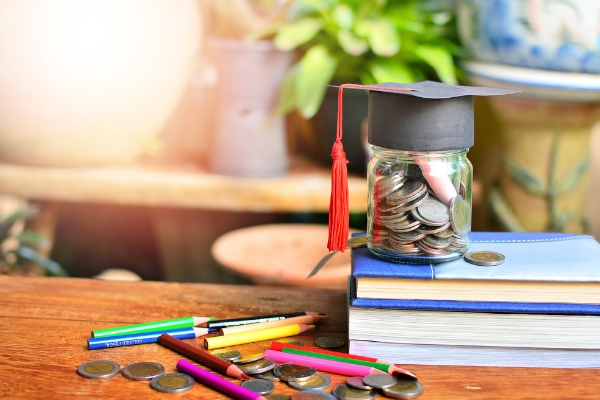 According to Banie van Vollenhoven, Group CEO of Iemas Financial Services, both parents and matric graduates have to carefully consider the options available to them in the current economic climate. “Although the overall statistics may look unfavourable, there still is hope in that financial institutions like Iemas can assist with affordable educational loans”, says van Vollenhoven. Iemas offers a GradUcare educational loan, which is no ordinary loan product as it covers tuition fees, textbooks costs and student accommodation at a very affordable interest rate and reasonable repayment term. “The interest rate of a maximum of prime plus 3% makes it possible for parents to provide a real future for their children in an affordable manner. GradUcare is also unique in that a parent or guardian starts paying immediately for the loan, thus the student won’t have the burden of paying off an entire loan that includes interest when finally entering the job market” says van Vollenhoven. The GradUcare educational loan can also be used by the individual who is already employed to further their studies. The famous quote by Nelson Mandela still holds true “Without education, your children can never really meet the challenges they will face. So it’s very important to give children education and explain that they should play a role for their country”. Thus, by investing in your child’s future today may enable them to achieve a better and brighter tomorrow. Read related blog article here: Iemas Financial Services looks at the impact of low or negative economic growth and how to cope financially during these trying economic times.